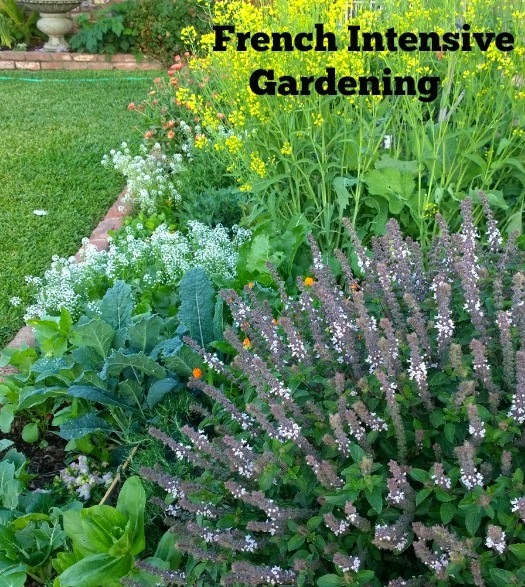 This year I have been studying the methods of gardening for high yields called French intensive or bio intensive gardening. I have become obsessed with trying and harvesting the methods. That combined with our year round mild climate, has me even more excited about my food crop gardening. The yields have been much larger than in previous years. As time allows, and I can pull myself from the garden, I will share with you the steps to grow lots of food crops in a small space. This is a perfect method for urban gardening. So follow along with me in my series of intensive gardening. Here is one days harvest a couple of weeks ago. 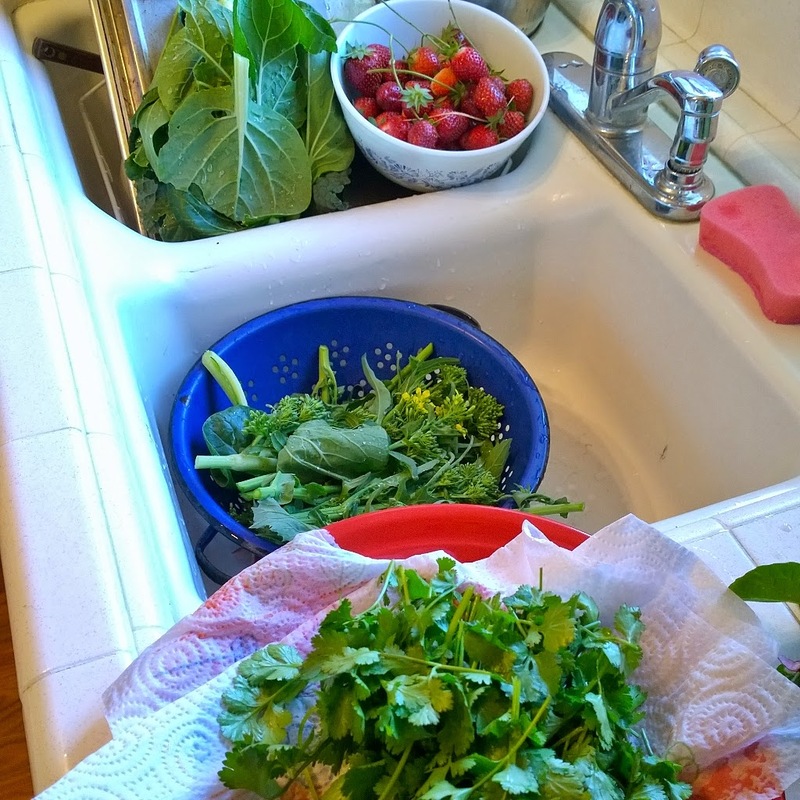 These were spring crops of broccolini, kale, bok choy, chard, strawberries and cilantro. Nice! I'm certainly interested in hearing about this. Me too! I'd love to hear more about this! I'm looking forward to hearing more about this - I've never heard of it! I'm going to have to google this term, because I have never heard of it before. I've always gardened with the belief that plants spaced closer together will choke out the weeds and bugs, and keep the soil moist. So I am looking forward to finding out if that is sustained by the French gardening method also. Love your garden and your flowers are so beautiful. Most of all I love the crop that you harvested, fabulous haul. Thanks tons for linking to Inspire Me. Such a beautiful harvest! I can't wait to hear more about your gardening method. Well, I'm anxious to watch you do it all. I am a container gardener now. i wouldn't mind getting that many strawberries. Everything looks so doggone fresh! I hope you'll post more about this method. Feel free to come over and share this on The Maple Hill Hop! ... this sounds very interesting and your harvest looks delicious... Looking forward to learning more. I'm interested in hearing about this, too. Have never heard of it!